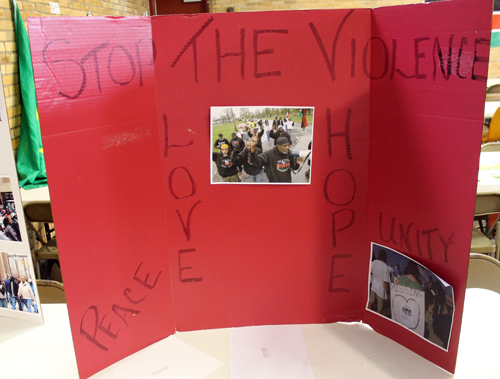 The violence in our cities has become a routine part of the daily news. 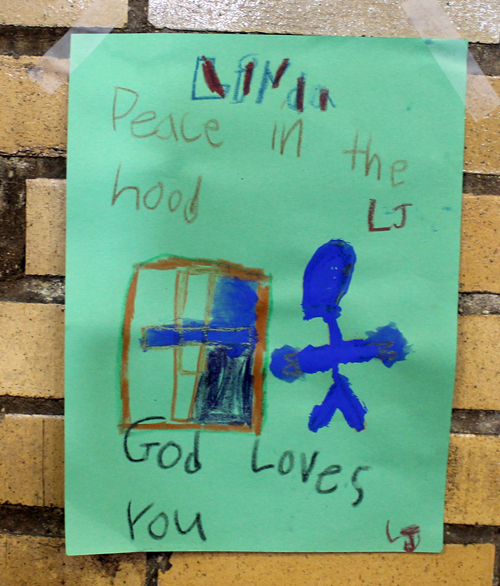 Peace in the Hood said that "In less than 48 hours, 2 people lost their lives and 6 other people were injured in the random violence that is threatening to destroy our community. Our schools have become battle grounds. The murder rate is climbing. 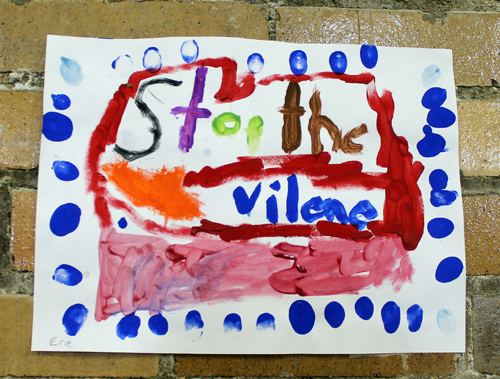 Children cannot even go to the store or the playground without the risk of violence. What is the answer? Law enforcement alone cannot do the job. When is enough, enough?" 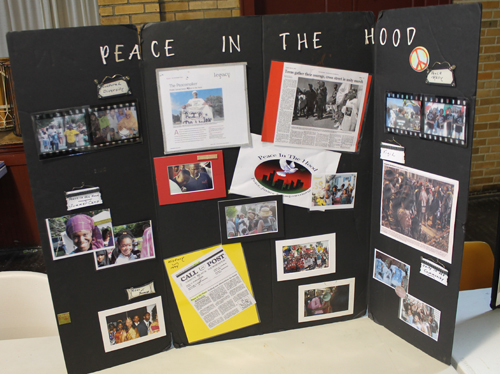 Peace in the Hood is focusing on solutions. 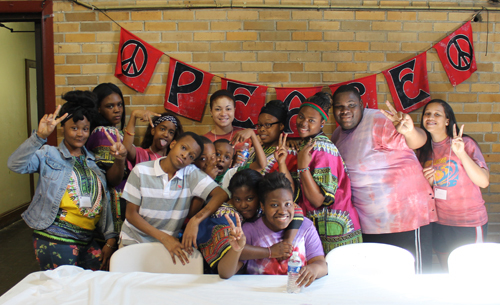 For 6 weeks, 40 youth of all ages, from all areas of Cleveland, from public, private and charter schools and all social economic levels have come together to learn to focus on what they have in common-not their differences. 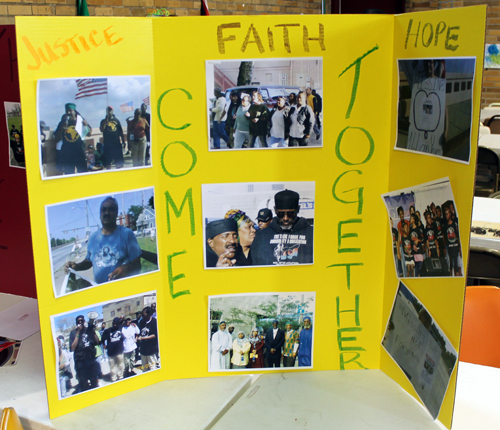 They have come to learn their culture, their history, nonviolent crisis intervention and mediation and to be part of the solution instead of part of the problem. 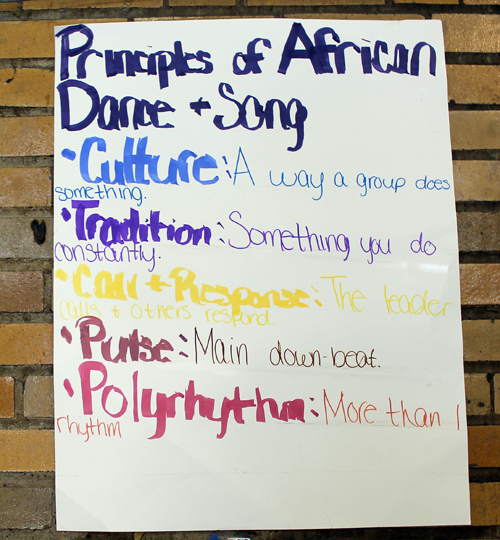 On Thursday, July 11, 2013, the students showcases some of what they have learned. They performed African Dance and Drumming, in conjunction with Dance Diaspora African Dance and Drumming Troupe from Oberlin College. 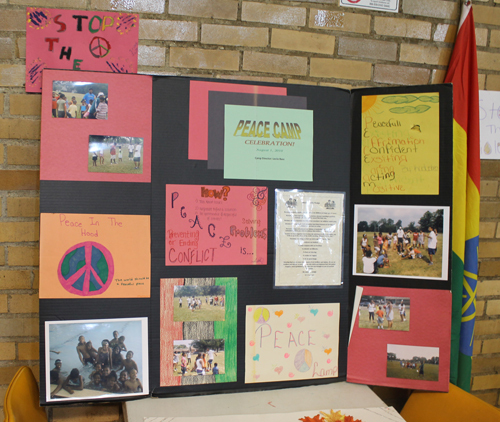 These future leaders and peacemakers showcased their artistic talents and talked about what they are learning to make a difference. 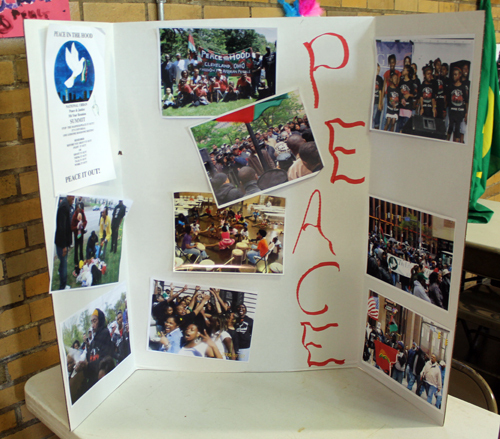 In this video, Amir Khalid A. Samad of the Coalition for a Better Life, DBA Peace in the Hood, Inc. led the students at Peace Camp in welcoming guests with a peaceful greeting in various foreign languages. The students then performed and congratulated themselves with a "Good Job" ceremony. 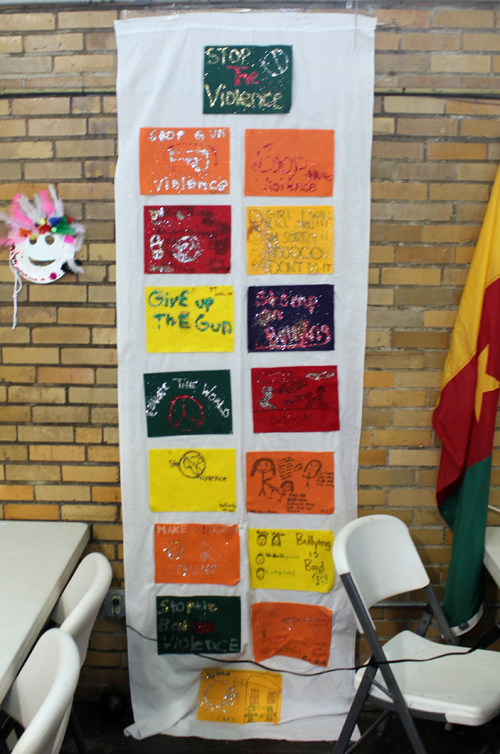 The Cleveland Peace Camp Students demonstrated some of the things they learned at peace Camp such as the 7 principles of Kwanzaa, key phrases in foreign languages and drumming skills. The presentation of the newly learned skills, such as French language phrases, continued after a drum performance. 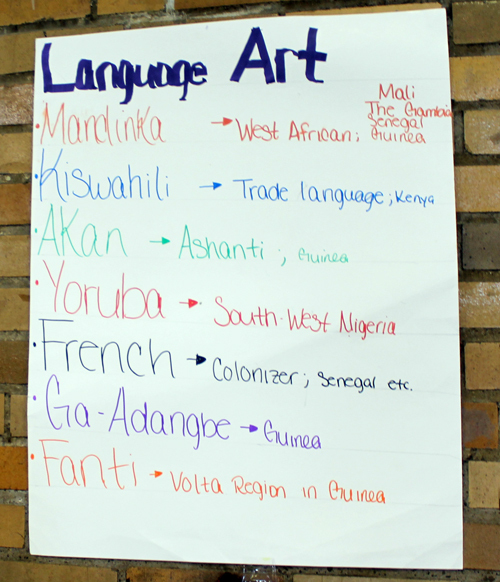 The students are also learning key phrases in African languages.